Take a look at our latest projects, maintenance tips, local happenings and things that inspire us. A family with small children were having difficulty utilizing their small patio space and bi-level garden. 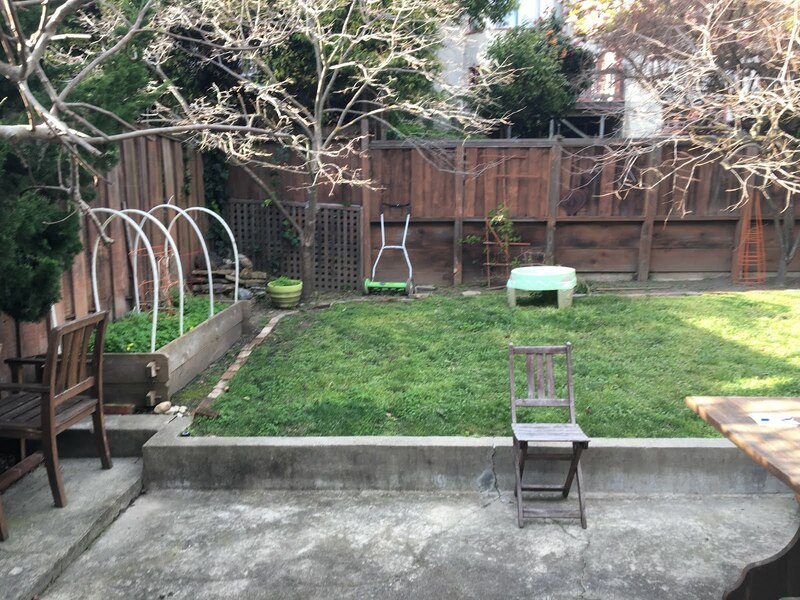 The small lawn offers a wonderful play space surrounded by screening trees for added privacy. 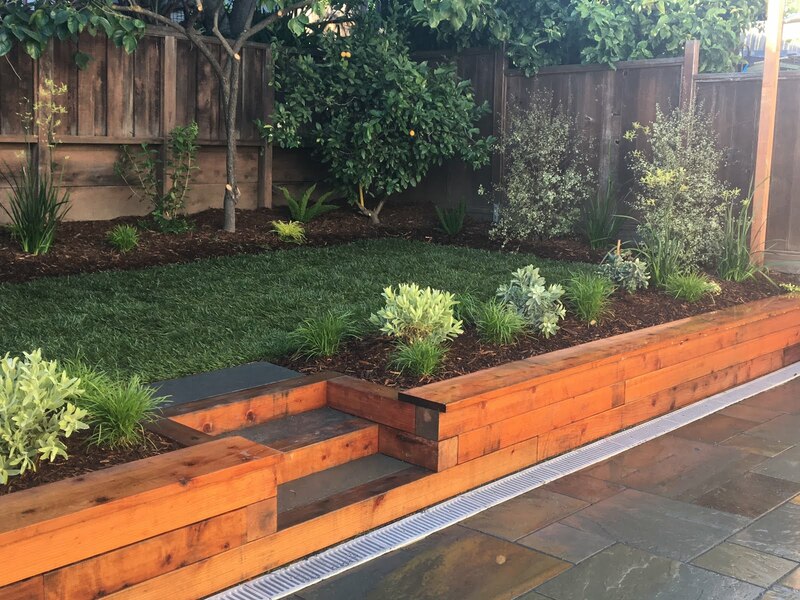 The low water grasses, pin cushion shrubs, kangaroo paws, & hydrangea 'limelight', add a soft yellow, green & sage color palatte to this gorgeous modern backyard. 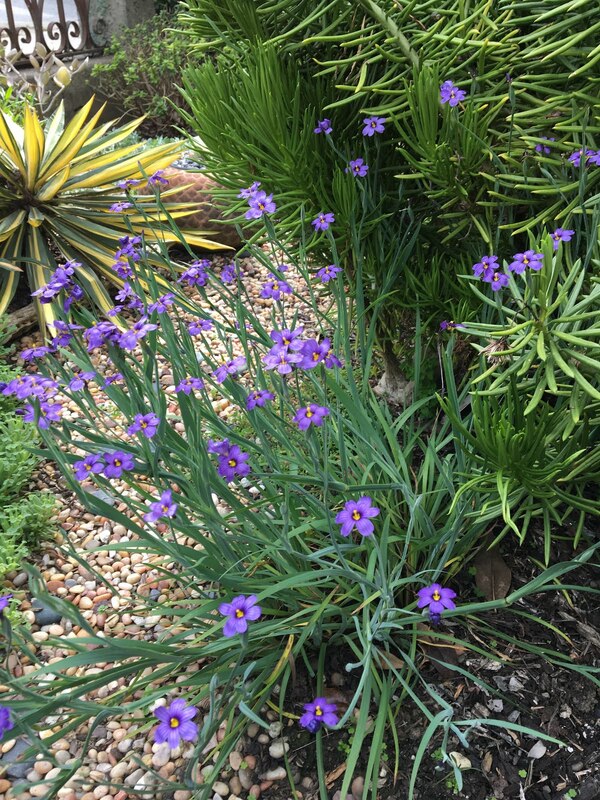 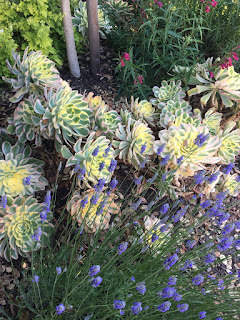 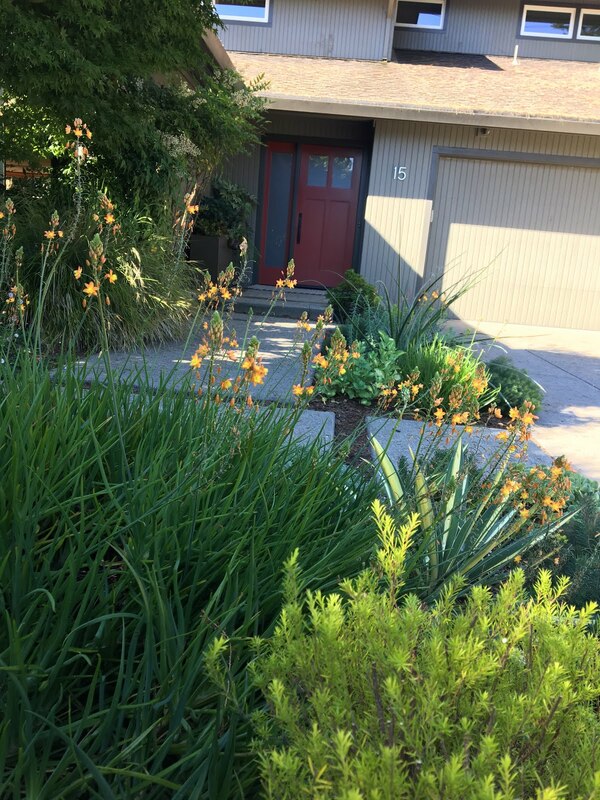 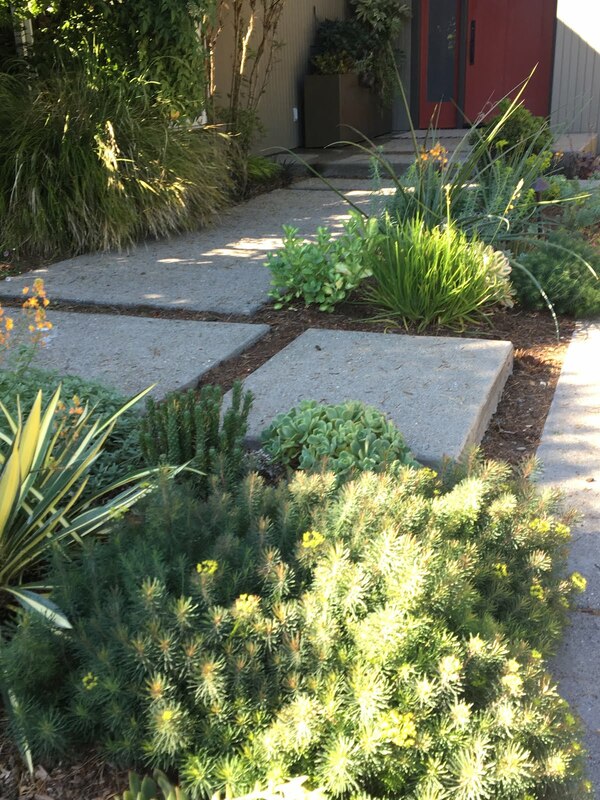 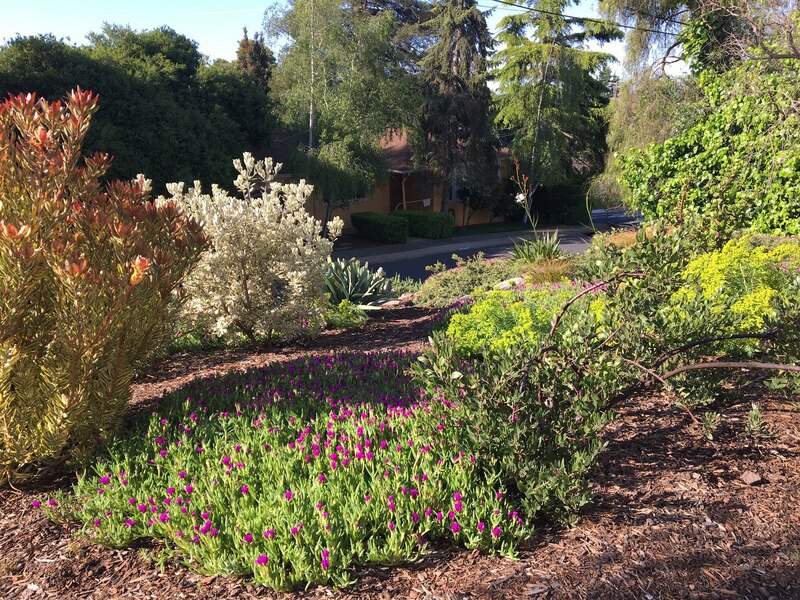 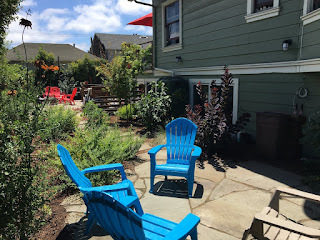 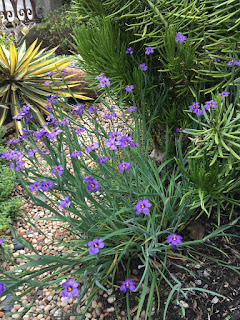 Welcome to this 2014 El Cerrito Garden that has matured into a hillside treasure! 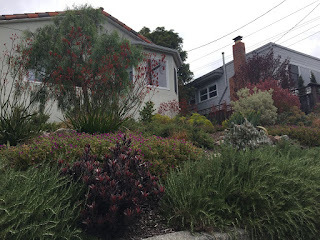 We chose a Pepper Tree, with it's handsome & slight weeping form, as the focal point. 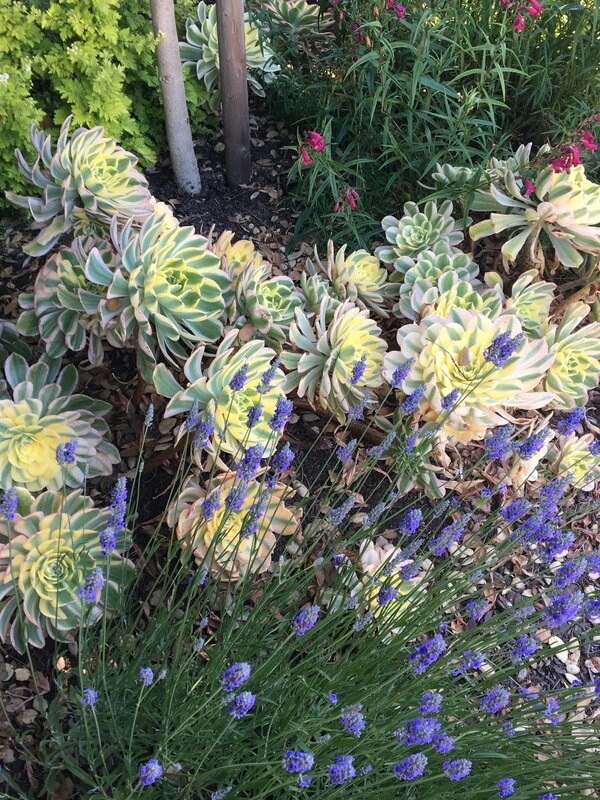 that add pops of color and beauty all year round. The goal of this home owner was to decrease the lawn size, while maintaining a small play area for their grandchildren and dog. 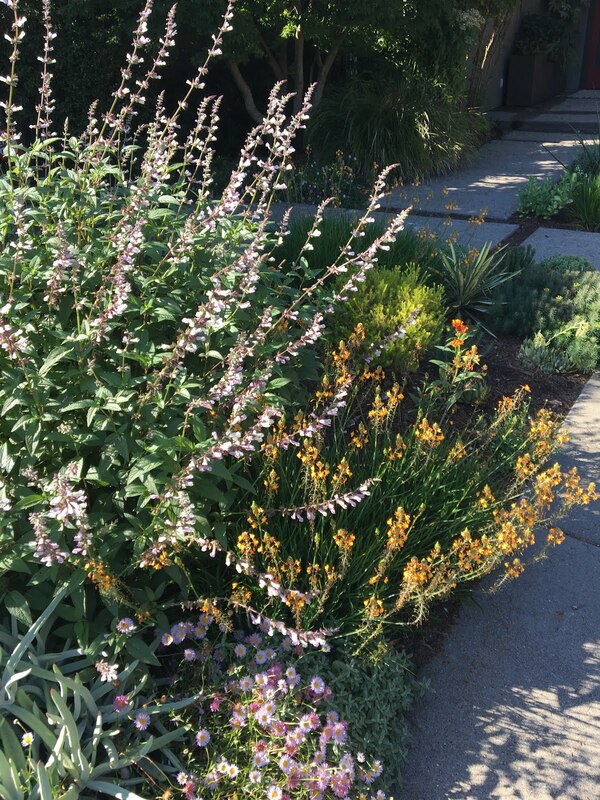 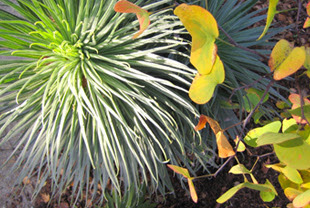 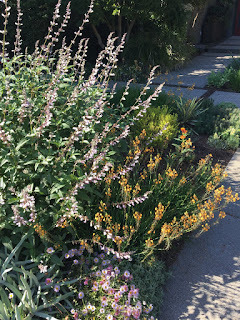 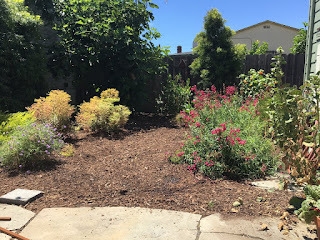 Low water salvias, ground covers and blooming perennials helped to echo the existing garden plantings. 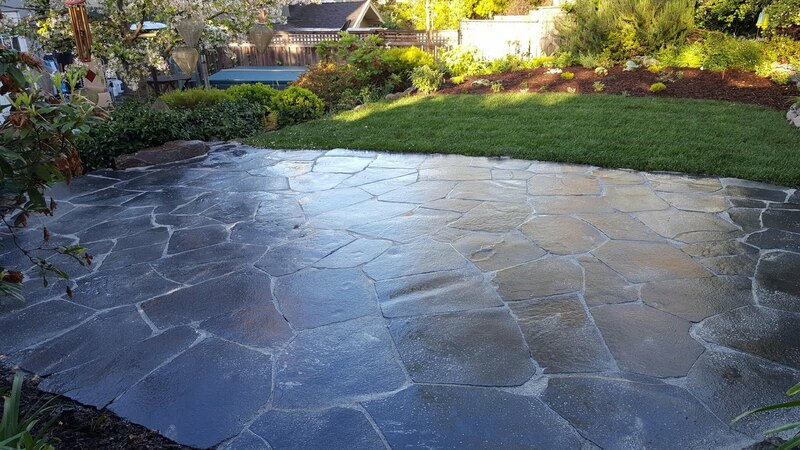 The patio stone is 'Iron Slate' and set with a polymer sand that contrasts nicely with the dark stone. 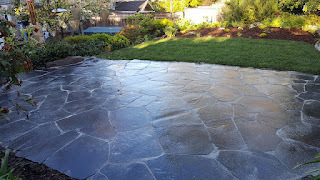 The patio stone has just been cut and is in the process of being set and leveled with sand. 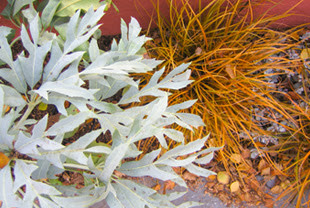 variety of colors that brighten up any garden space. 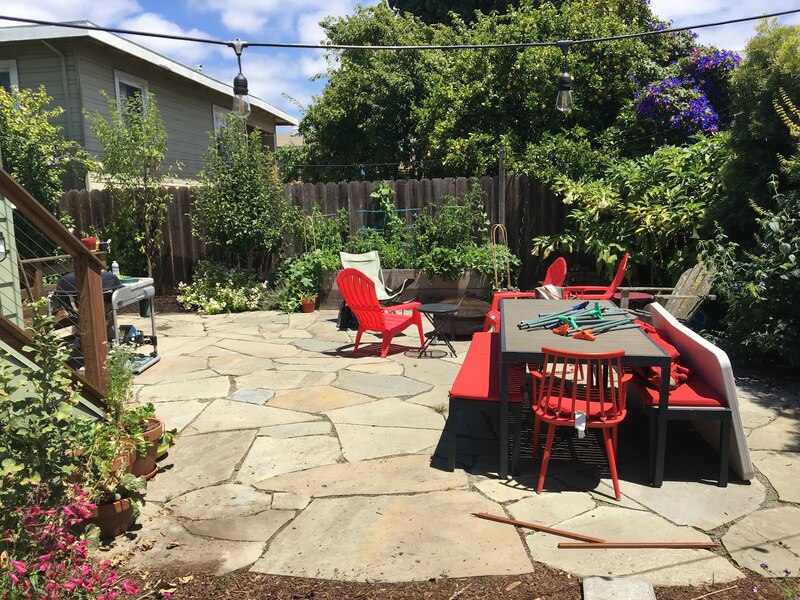 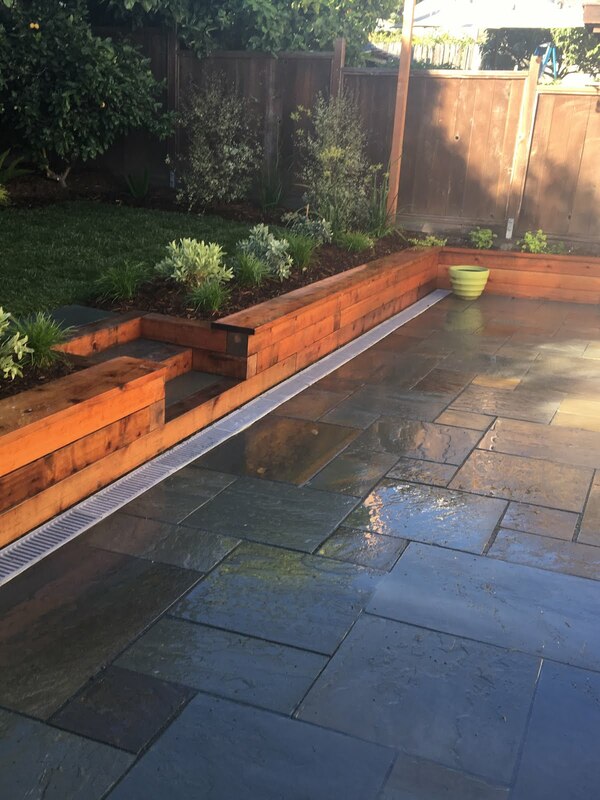 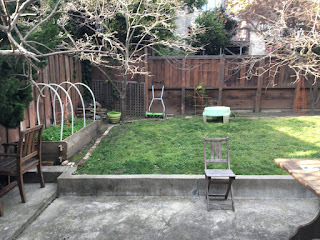 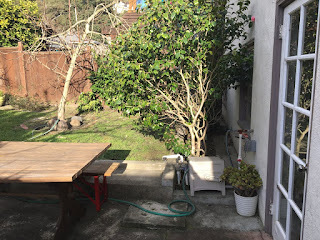 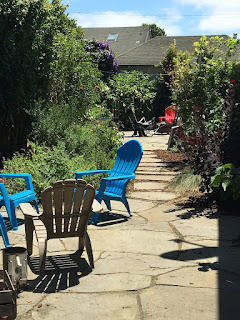 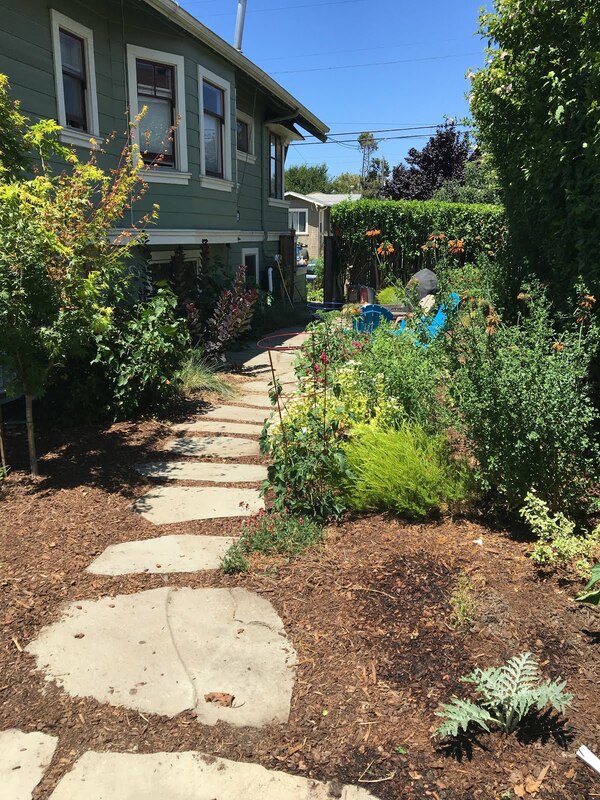 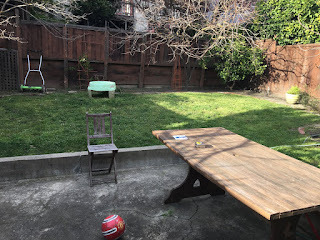 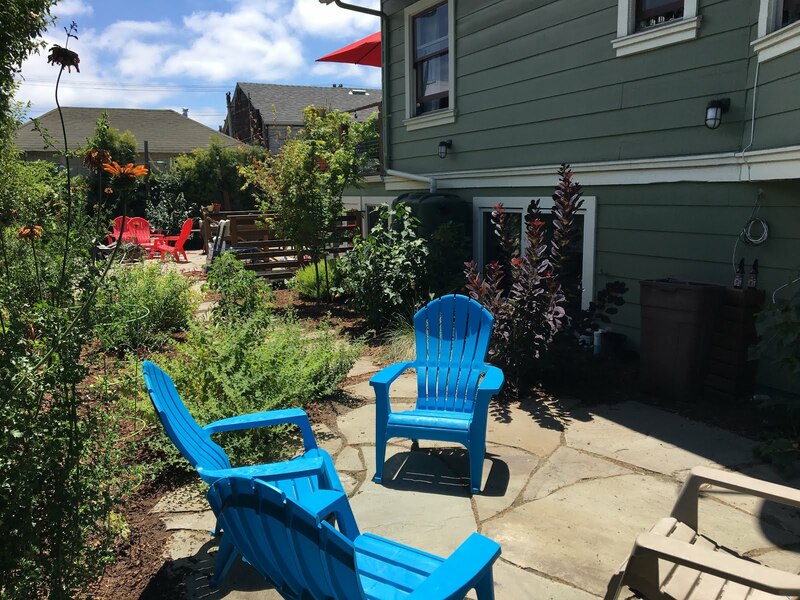 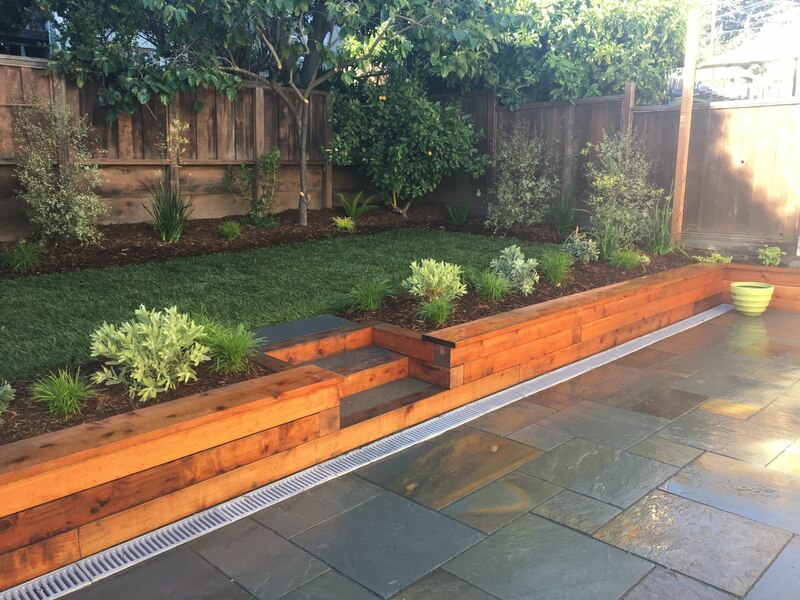 This Oakland family desired to have an outdoor space that could accommodate both adults & children. We connected the hardscape with stepping stones and plantings, which increased function and flow to their garden. 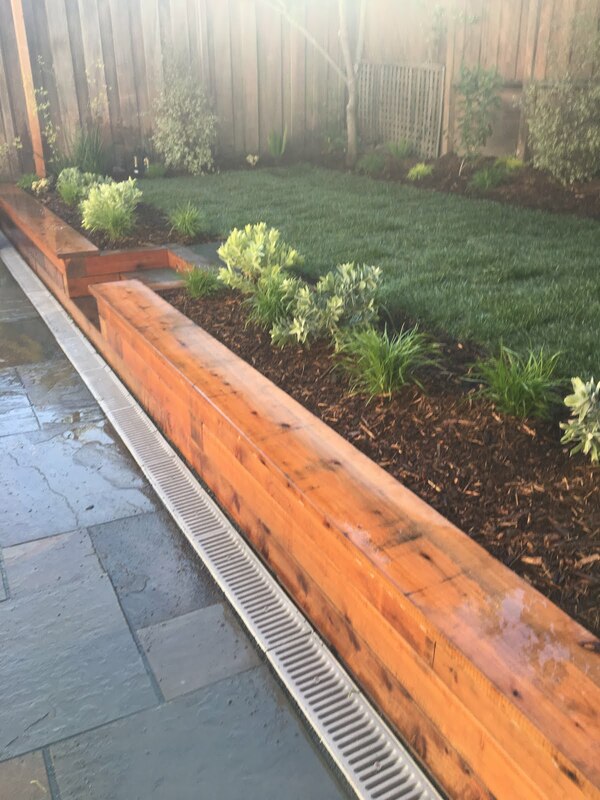 This recently designed and installed Kensington garden has finally realized its potential! From the top tier patio, the homeowners can overlook the garden and spy a view of the Bay. This No-Mow sod from Delta Blue Grass is a low water alternative to traditional sod. 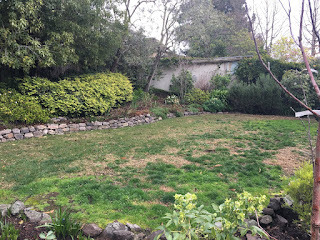 The small lawn will provide a play space for young ones. The blueberry hedge on the west side of the lawn offers instant refueling when energy runs low. Below the lawn is a veggie bed planted with espaliered fruit trees and stepping stones for easy access. 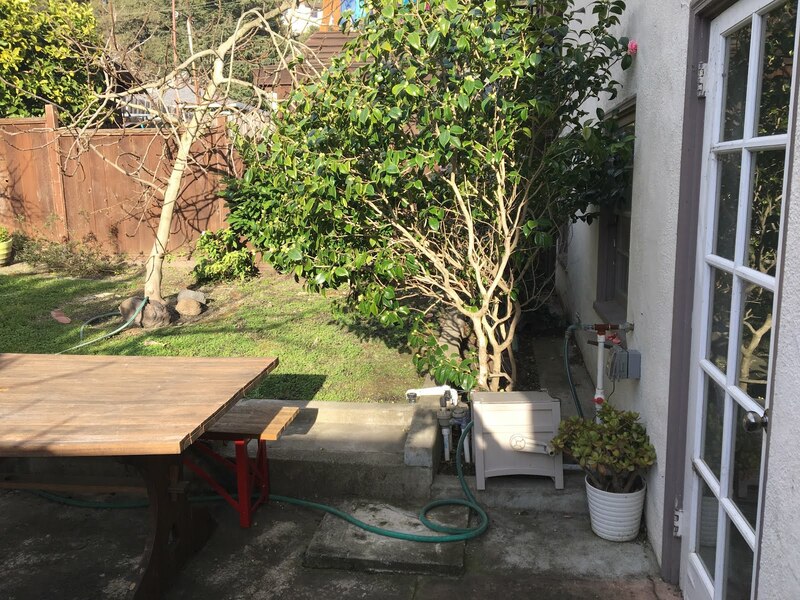 The patio situated just off the kitchen offers a large area for entertaining. 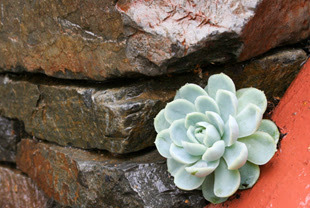 To soften the wall of the house, decorative pots run along the opposite side of the veggie bed. Stone steps with decomposed granite treads lead from the patio area up to the lawn. 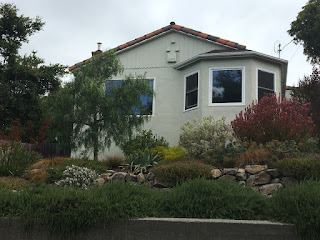 A mix of brick, concrete and ivy was holding the hillside up. DC hauling took care of the demo courtesy of the EXCAVATOR. Post excavation. 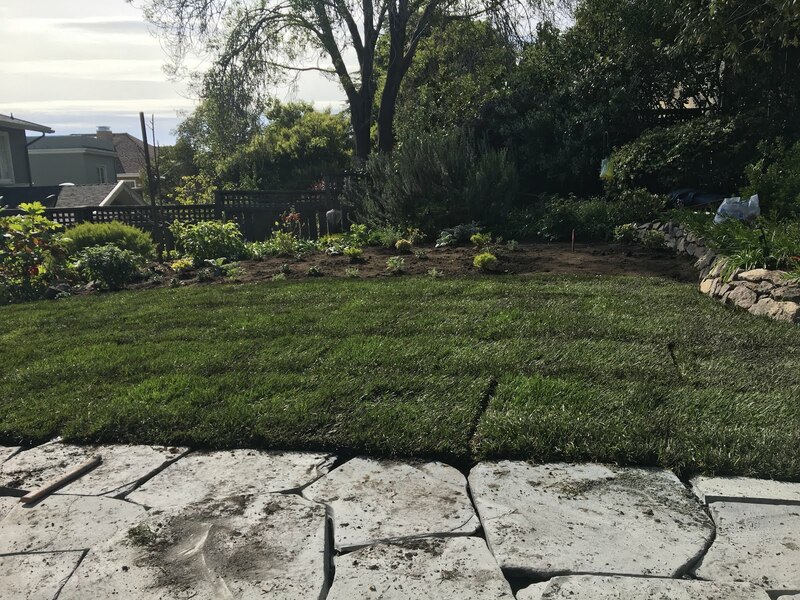 The crew spent one entire day moving stone from the street to the back garden. 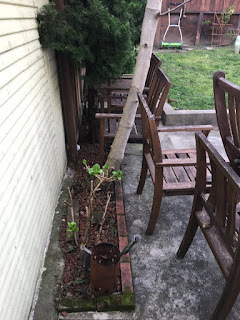 Dry stack walls being constructed.